Children have taken over the street outside their Brighton primary school today to push for action to improve air quality and road safety. Pupils from St Luke’s Primary School petitioned people living in Queens Park Rise for permission to close the street for an hour this morning and again this afternoon. 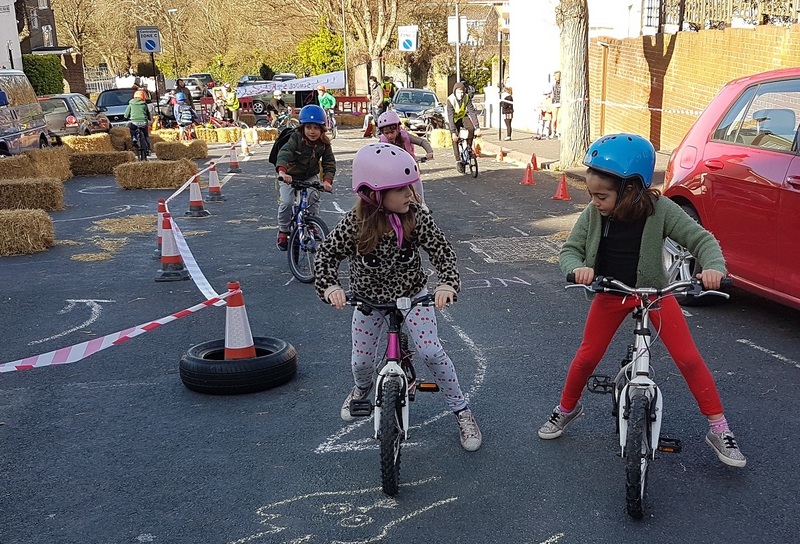 And it’s hoped this is the first of more street closures outside school, with the charity Sustrans helping another 38 schools across the country in a national trial as part of its Big Pedal competition. St Luke’s head Jonathan Cooper said: “Schools Streets Day, where we can truly imagine streets without cars, is the perfect way to launch our school campaign and will certainly promote the message of how walking, biking and scootering to school can combat air pollution, is perfect for your mental health and well being and has a great impact on your physical health. To mark the launch of this year’s Big Pedal campaign, which encourages families to walk, scoot or cycle to school, Sustrans released the results of a YouGov poll, which found that nearly two thirds (63%) of teachers would support a ban on motor vehicles outside the school gates during school drop off and pick up times. 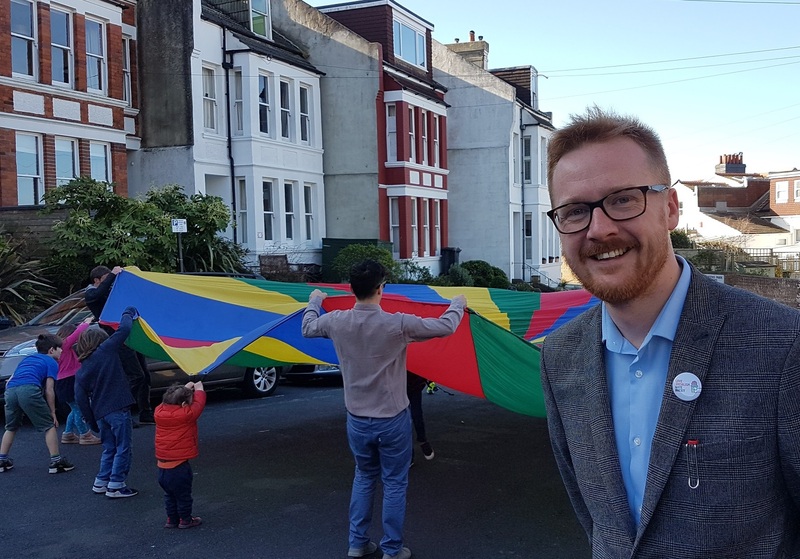 James Cleeton, Sustrans Director for the South of England said: “We’re delighted that St Lukes Primary School in Brighton have joined schools across the UK to demonstrate the potential of closing school streets to vehicles. We need to radically change the way we travel – idling car engines and snarled up roads poison the air our children breathe. The Big Pedal is organised by the walking and cycling charity Sustrans. The lead sponsor for this year’s challenge is Micro Scooters and the supporting sponsor is Tonik Energy.